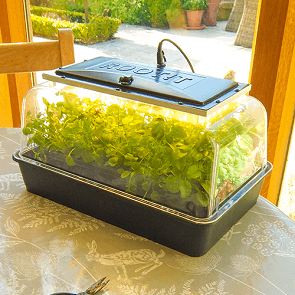 Provide your indoor salad crops, supermarket living herbs and seedlings with optimum light levels to grow and thrive! No sun? No problem! 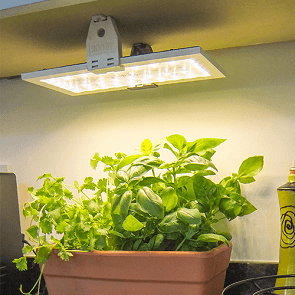 This Full Spectrum LED Grow Light attaches under a cabinet or shelf using handy rubber feet and mounting brackets – taking up very little space - and fits perfectly over your propagator for seedlings to help your supermarket herbs grow and thrive in your kitchen. Grow leafy plants successfully, even with minimum natural light! 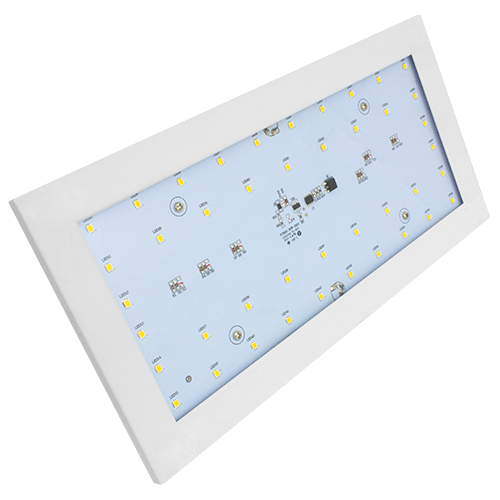 Super-efficient LEDs are used in our patent pending design to give you even light coverage and growth. Designed specifically for growing seedlings/cuttings, salad crops, herbs and leafy house plants with our full spectrum chip arrays. 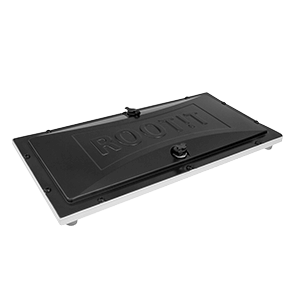 Provides high light output while maintaining a cool running temperature and low energy consumption. 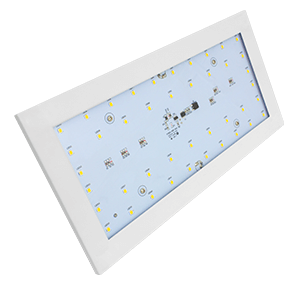 Choose between low and high power settings depending on availability of natural light. Ideal for large propagators or growing area; daisy chain two grow lights together with ease using the link cord provided (a maximum of two lights can be run off the same power cord). To get the most out of this product, we recommend using a plug-in timer like the Grasslin Mechanical timer.